A CRM or a customer relationship management tool is the cornerstone of any client based business. When integrating a CRM, it combines all different software tools into a unified system. 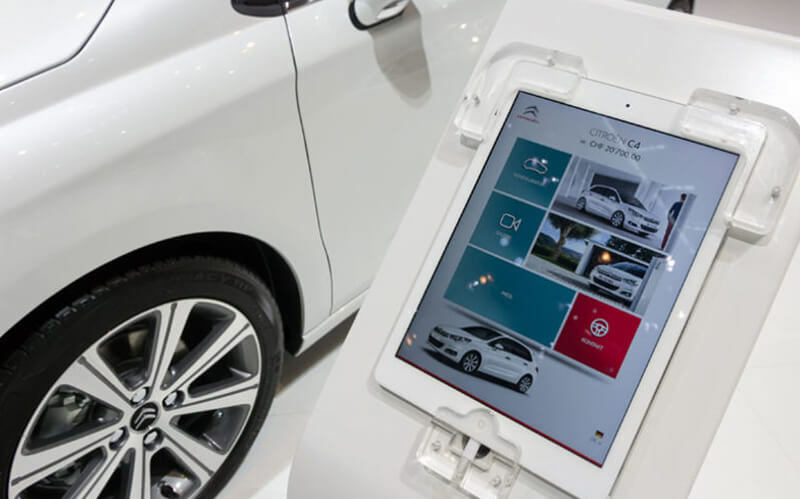 A car dealership CRM makes the staff’s lives so much easier via powerful automation tools and workflows that keep the projects working smoothly, enhance the transparency across companies and generate meaningful data reporting. Why does your dealership need one? CRMs are amazing tools for storing clients’ data and documents securely in the cloud. An ideal CRM will let you create more efficient sales, in other words, higher conversion rates and increased profits. Automation of frequent client tasks such as soliciting signed documents or paid invoices. In other words, less labor, fewer mistakes and faster turnaround times. An ideal CRM will assist your team in syncing when it comes to collaborating on the projects that can be impactful for the business. With task management, data reporting, and user permissions, you can make sure that your employees and servicing clients to the highest standards possible. In other words, you can repeat the referral business for your dealership. What kind of CRM does your dealership need? Ease of use: Ascertain the time you need to invest to begin with and how easy it is to use for your team. Cost: is the CRM priced on the basis of the number of team members you have? Automated Workflows: Is the CRM able to automate daily tasks to save up your time? Conversion booster: check if the CRM helps in boosting sales and converting the clients more efficiently. Improves Customer Satisfaction: ensure that CRM helps in nurturing client relationships. Keeps Data Safe: ensure that CRM keeps the data safe with ease. Keeps Your Team in Loop: ensure that the CRM has reporting tools, task management, user permission that always keeps your team motivated, in loop as well as accountable. In depth reporting: ensure that the CRM lets you delve deep into the lead channels’ effectiveness, conversion rates, referrals etc. Integrations: Ensure that CRM can work alongside some of your mandated tools you have in your arsenal. Payments: Ensure that your CRM offers contracts, online signatures, fee agreements and billings to make the payments easy.